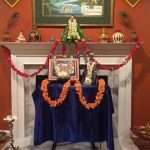 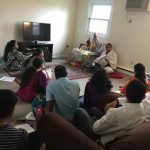 The GOD satsang in Boston had a blissful satsang on Jan 29th 2011 from 5.15pm until 6.45pm at Shirdi Sai temple, Billerica MA. 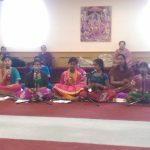 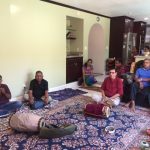 Being an Ekadasi day, Nama Sankirtan was performed and it was then followed by the rendition of kirtans composed by Maharanyam Sri Sri Muralidhara Swamiji. 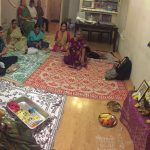 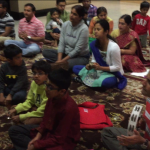 About 40 people attended the satsang and everyone thoroughly enjoyed the satsang.